Shade-loving hostas (Hosta spp.) produce their signature foliage in various colors, patterns, sizes and textures. 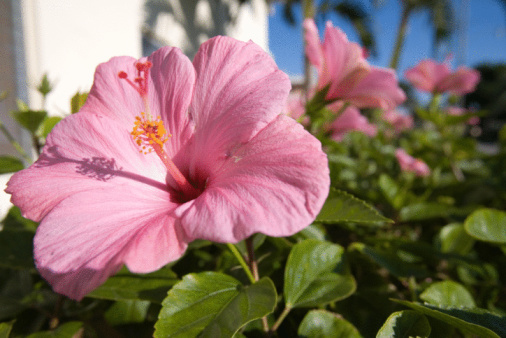 These plants do best in the cooler climates of U.S. Department of Agriculture plant hardiness zones 3 through 8. Slugs are the usual culprits for holes chewed in hosta leaves, although other pests or factors can also cause this damage. 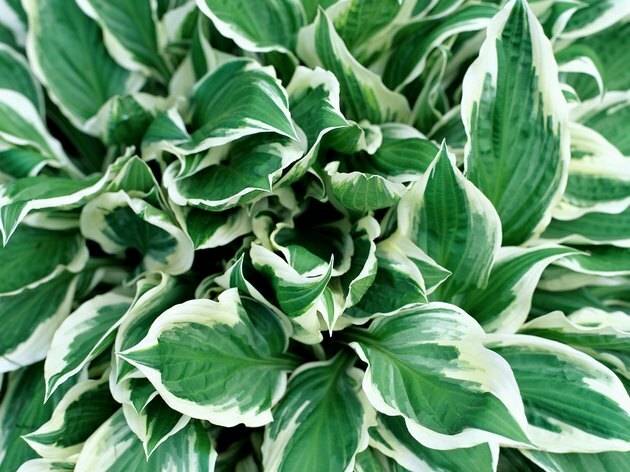 Providing the hostas with good care and following excellent sanitation practices around the hostas will help to prevent or minimize the appearance of holes in the hosta leaves. Slugs feeding on hostas leave a silvery trail of dried mucus. Space plants well at planting or transplant or divide hostas so that there is good air circulation around the hosta foliage. Crowded hostas that are constantly damp are prone to fungal problems like anthracnose. Anthracnose appears as white to tan leaf spots with a dark border that often lose their center before the entire leaf develops a torn or tattered appearance. Keep debris, like excessive mulch, leaf litter, boards, stones and bricks, away from the hostas and thin out any dense ground cover plants near the hostas. Slugs feed on hostas at night and need a damp environment to hide in during the day. Holes caused by slugs are irregular but have a smooth edge. Cutworms chew long, oval holes between hosta leaf veins. Inspect the hosta plants and surrounding area at night with a flashlight, looking for slugs and cutworms. Pick off any pests you find and drown them in a bucket of soapy water. Sprinkle diatomaceous earth over the ground around the hostas. Reapply this material regularly and after each rainfall to ensure it remains effective. Diatomaceous earth will scratch the outer or protective layer of slugs and other pests, causing the pests to dry out and die. Drape a fabric sheet or similar material over the hostas whenever hail or out-of-season frosts are expected. Prop the cloth up with sticks, stakes or boards, so it is not directly in contact with the hosta. Hail damage to hosta leaves appears as holes with jagged edges and an overall torn or tattered appearance. When Should I Plant Hostas?